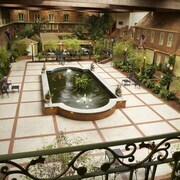 Located in Downtown Albany, this hotel is steps from Albany Berkshire Ballet and Palace Theater. Times Union Center and The Egg are also within 15 minutes. This was for a one night stay as we were traveling to Las Vegas the following morning. Check in was quick, simple and hassle free. I believe the employee that checked us in was Amanda. She was very friendly and took great care of our family. Since we were flying out early and wouldn't be there for breakfast, she offered us some fruit and yogurts. I would highly recommend this hotel and will stay here in the future. Staff at check in was wonderful.Nice touches such as water in the gym. Where to find East Greenbush hotels near an airport? Where can I find hotels in East Greenbush that are near tourist attractions? Tourists in Albany who are searching for a place to stay in East Greenbush have a range of choices. About 19 apartments and hotels can be found within a 0.1-kilometre (0.06-mile) radius of East Greenbush's center. Enjoy the action near downtown East Greenbush. Hotels in the area include Comfort Inn & Suites East Greenbush - Albany and Americas Best Value Inn-Albany / East Greenbush. 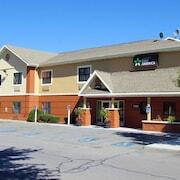 The Residence Inn Albany Washington Avenue is 17 kilometres (10 miles) away from downtown East Greenbush. 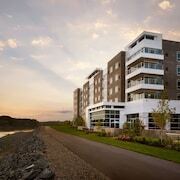 Another accommodation option is the Hampton Inn Schenectady, which is situated 30 kilometres (20 miles) away. Some other hotel and apartment options around East Greenbush are the Hilton Albany and the Residence Inn by Marriott Albany Airport. Interested in seeing more of the forests and mountains this area offers? Why don't you plan some extra time in some of the other parts of Capitol - Saratoga Region? No matter if you join in with the popular regional activities, for example snowboarding, or just travel around to see the attractions, you will be able to book suitable accommodation in the area. 16 kilometres (10 miles) from East Greenbush you will find Troy, where visitors can enjoy Troy Savings Bank Music Hall and Children's Museum of Science and Technology. 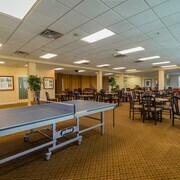 Troy hotels and accommodations include the Hilton Garden Inn Troy and Best Western Plus Franklin Square Inn Troy/Albany. Alternatively, you could consider staying at Downtown Albany, 11 kilometres (7 miles) to the northwest of East Greenbush, where you'll find the Courtyard by Marriott Albany Thruway and TownePlace Suites by Marriott Albany Downtown/Medical Center. Whether you're just passing through or staying in Downtown Albany, make sure you visit the Irish American Heritage Museum and Westland Hills Park. Before you say goodbye to Albany, make sure you experience some sport. Visit Times Union Center to the northwest of East Greenbush. 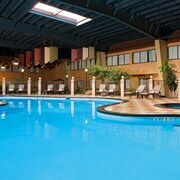 Stay right near the action at the Holiday Inn Express Albany Downtown or the Hampton Inn & Suites Albany-Downtown. 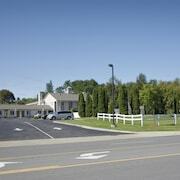 Located 20 kilometres (12 miles) from East Greenbush is Albany International Airport. Stay nearby at The Desmond Hotel Albany or Albany Marriott. What are the most popular East Greenbush hotels? Are there hotels in other cities near East Greenbush? What other types of accommodations are available in East Greenbush? Explore East Greenbush with Expedia.ca’s Travel Guides to find the best flights, cars, holiday packages and more!